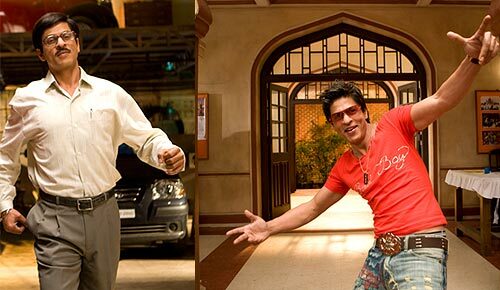 Rediff.com » Movies » Bollywood's Major Makeovers! Bollywood stars, especially actors, are known to experiment with their looks for various films. 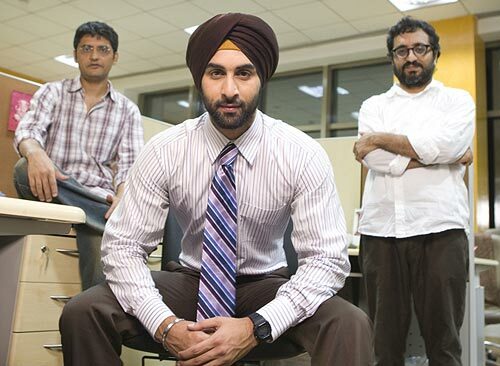 Ranbir Kapoor has adopted a totally new look in his new film, Rocket Singh: Salesman Of The Year. And at quite an early stage in his career too. Rocket Singh -- directed by Shimit Amin (Ab Tak Chappan, Chak De! India) -- sees Ranbir dressed up as a Sardar. We take a look at other actors, who went through a complete transformation for their films. Whether it looked good on the actor or not, you decide. The ever romantic hero, Shah Rukh played the simpleton in love with his beloved Taani in Aditya Chopra's film. He shed his style for a simple Surinder Suri look, complete with well-combed hair, spectacles, high-waist trousers and running shoes. When he did leave his simple Suri look behind, he put on a wild gaudy look, quite unlike the star's own excellent style. 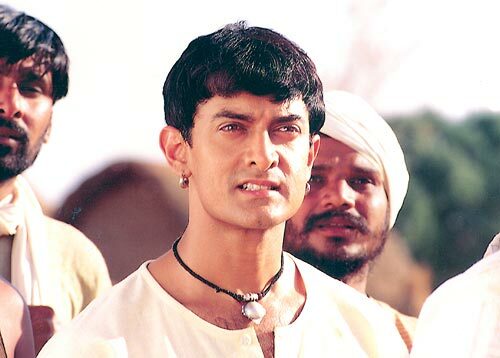 Aamir chose a rustic look for his home production, Lagaan. He played a dhoti-clad villager at a time when no A-lister would go near villager-roles. His Bhuvan won hearts the world over, and even landed an Oscar nomination. After Lagaan, Aamir changed his look in quite a few films like Dil Chahta Hai, Mangal Pandey, Rang De Basanti, Fanaa, Taare Zameen Par and Ghajini. 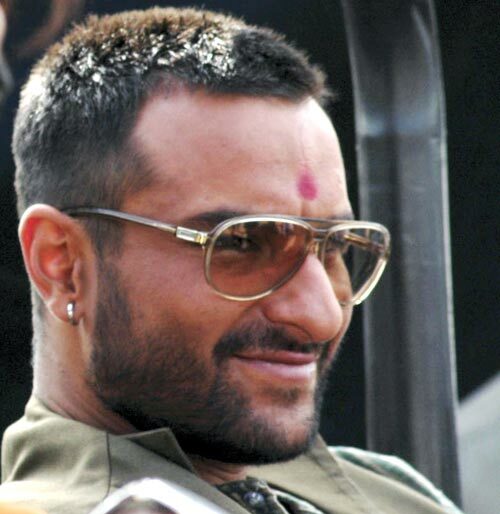 When Saif decided to play a rustic character, it was way different from Aamir's Bhuvan. Langda Tyagi was a tobacco-chewing, mean ruffian, who didn't take very kindly to being sidelined. His villainous turn was very different from the regular 'dude' roles we associated Saif with, and one that got him a lot of fans. His experimentation will continue in his next film, Love Aaj Kal, where he plays a sardar. 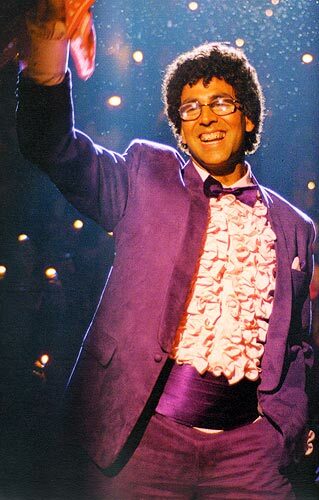 Akshay played a geeky role in parts of Jaan-e-man, complete with curly hair, huge spectacles and braces. His Agastya was madly in love with Preity Zinta's stylish character. It was after he got rid of his nerdy look that he seemed to stand a chance but it was too late anyway. 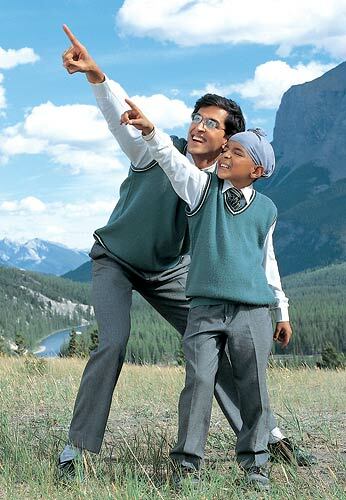 Hrithik Roshan played a mentally challenged man brilliantly in Koi Mil Gaya. A child trapped in a man's body, Hrithik's Rohit Mehra brought tears to your eyes. Wearing a school uniform, and getting bullied by the local bullies was a part of Rohit's life until it changed magically, thanks to Jadoo. Salman Khan tried to pull off this period film with conviction but it only ended up making him look silly in a white wig. After the film tanked at the box office, Salman stopped experimenting for a while. It was a decade later, in Tere Naam, that Salman got a new hairstyle. This time, however, it became a craze and was copied by all his fans. 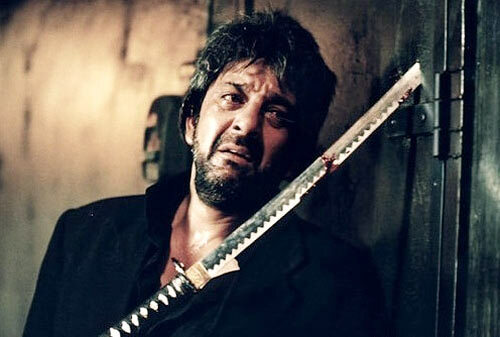 Sanjay Dutt has experimented with his hair quite a few times. From his long hair in Saajan to the spiky look in Plan, Sanjay has tried quite a few hairstyles. But it was Zinda, where he looked very different, thanks his unshaven and rugged look. Unfortunately, his look and the film did not get very popular with his fans. 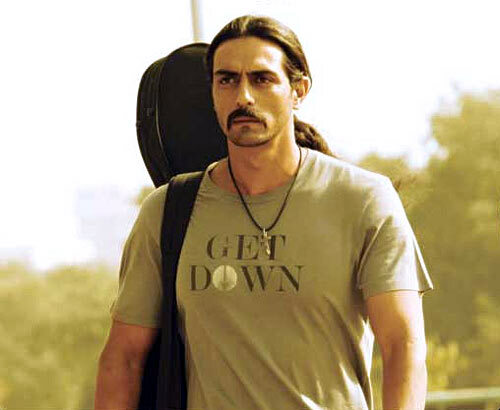 Arjun put on long hair and a moustache to play the older and wiser Joe Mascarenas in Rock On!! While he carried it off well, his gorgeous supermodel looks looked hotter in the younger rocker version, where he held his own against the brilliant Farhan Akhtar. 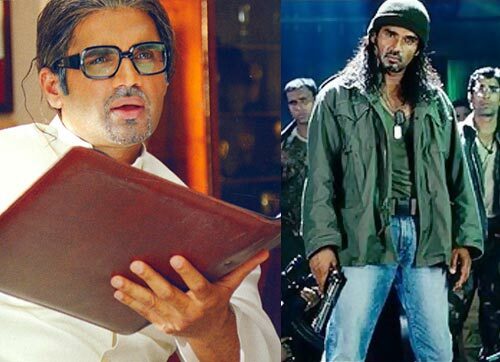 Suniel Shetty put on grey eyes and long hair to become the terrorist Raghvan Datta in Farah Khan's Main Hoon Na. But that was when he wasn't playing the bespectacled salt-n-pepper haired professor in the college Shah Rukh Khan studied in.